ART EXHIBIT: KEEPING THE FAITH (RINGGOLD)! ART: KEEPING THE FAITH (RINGGOLD)! Please call 554-2796 for extended public hours for this exhibition. 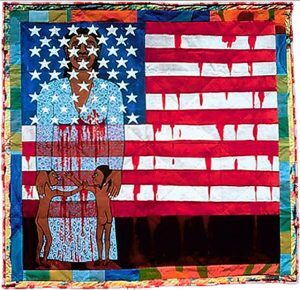 the art of Faith Ringgold and includes paintings, quilts and drawings. Opening Reception (free and open to the public) Friday, September 30, 6:30-8:30 p.m.
Keep the Faith (Ringgold)! Family Day: November 5, 11-4 p.m.